Vaisala provides environmental and industrial measurement systems and instrumentation solutions, including measurement instrumentation, continuous monitoring systems and validation systems for the monitoring of environmental conditions, within regulated or controlled life science environments. With 80 years of experience behind us, the company contributes to a better quality of life, through unique observation and measurement products and services for the weather-related and industrial markets. 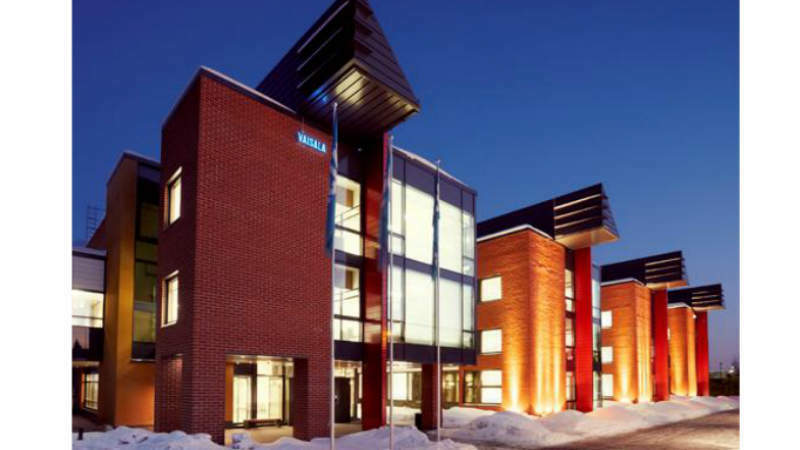 Based in Finland, Vaisala employs approximately 1,400 professionals globally and is listed on the NASDAQ OMX Helsinki stock exchange. Vaisala’s control services can help reduce the risk of lost or adulterated products, as well as decrease the danger of failing to meet good practices (GxP) regulations and guidelines. Vaisala understands the importance of dependable measurement of environmental parameters and guaranteed continuous monitoring with gap-free data to ensure excellent processes, end products, and people’s safety. Vaisala provides support and service globally, including ISO17025 accredited calibrations. Vaisala’s environmental monitoring solutions combine measurement, accuracy and stability with data protection in a way that complies with the stringent regulatory requirements of the pharmaceutical industry. To effectively monitor the temperature, humidity and other parameters of your critical assets and environments, Vaisala offers the viewLinc Environmental Monitoring System, with mapping/validation capabilities and options for wired and wireless devices. Vaisala Data Logger CCL100 records and monitors time and temperature for vaccines, pharmaceuticals, biologics, and other perishable products in a simple way, during distribution and short-term storage. The Vaisala DRYCAP® Dewpoint and Temperature Transmitter Series DMT340 allows the user to monitor measurement trends and one-year history. Our CARBOCAP® carbon dioxide transmitter series GMT220 is built to measure carbon dioxide in harsh and humid environments, such as incubators. The Vaisala HUMICAP® Humidity and Temperature Transmitter Series HMT330 is designed to maintain measurement accuracy between calibration intervals. The Vaisala HUMICAP® Wireless Humidity and Temperature Data Loggers HMT140 are built for humidity, temperature and analogue signal monitoring in warehouses, cleanrooms, laboratories, and other life science applications. The Vaisala Mapping Kit is a reliable, easy-to-use alternative to thermocouple-based equipment and less robust data loggers. Ideal for stability chambers, refrigerator/freezers, incubators, warehouses, and ambient environments, the Mapping Kit ensures secure and accurate temperature and humidity profiling. Vaisala offers a vast range of services to help you reduce operational risks as well as help your systems to achieve their maximum lifespan and return on investment. The Vaisala temperature and humidity data logger DL2000 is used to monitor critical humidity-sensitive products and processes. These self-powered temperature and humidity data loggers include on-board humidity and temperature sensors, non-volatile memory, 10-year battery and a precision clock. The Vaisala viewLinc Monitoring System tracks environmental conditions wirelessly using Vaisala’s VaiNet wireless devices based on LoRa™* technology. By using a chirp spread spectrum (CSS)* wireless protocol, VaiNet provides robust communication that is extremely reliable over long distances and under harsh, complex and obstructed conditions. This white paper outlines how Vaisala’s Continuous Monitoring System helps to meet the requirements of Title 21 CFR Part 11 and EU GMP Annex 11 as they apply to environmental monitoring and validation. This step-by-step paper describes how to map a warehouse to comply with internationally recognized GMPs and regulatory requirements. This white paper describes the most common methods of connecting sensors to a monitoring system focusing on selecting wireless options. The white paper outlines nine crucial evaluation points that will allow you to select the monitoring system best suited to your monitored applications, controlled environments and GxP facilities.